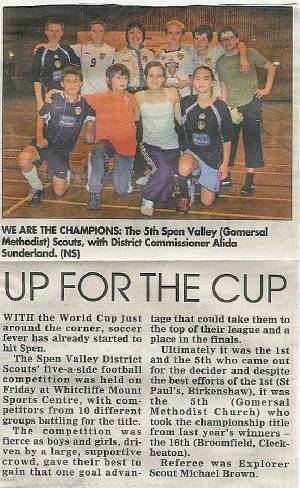 District five-a-side football competition 2006, well done! Young Woman Engineer of the Year - One our Scout Leaders, is the recipient of the prestigious 2006 IET (Institution of Engineering and Technology) of the Year Award. Katy, who beat four other finalists to claim the award, works for Kirklees Council, Huddersfield, where she helps spearhead the council's drive to make greater use of renewable energy. 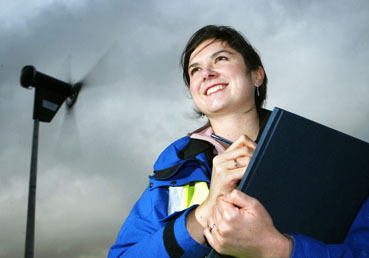 Katy has worked on projects installing wind turbines and solar power systems for schools and colleges. Click the picture for the full story on Scoutbase. 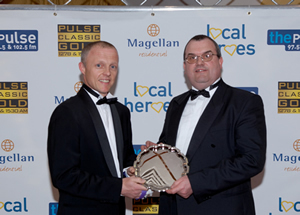 Dad of the Year -This is a picture of Akela Mark (on the left) receiving his dad of the year award. 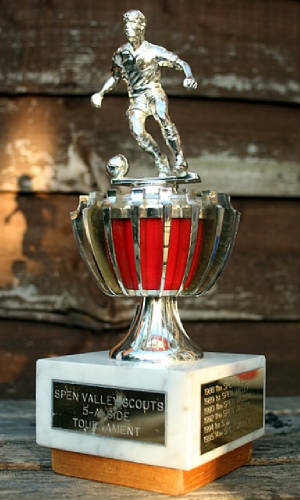 His wife had originally put him forward for volunteer of the year but the panel thought that he was a dad to so many kids he should get this award. 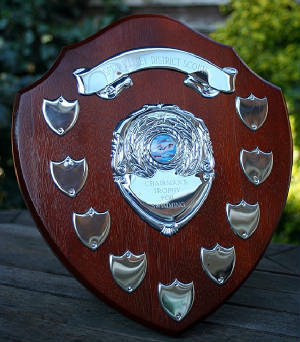 District Swimming Gala 2006, well done!